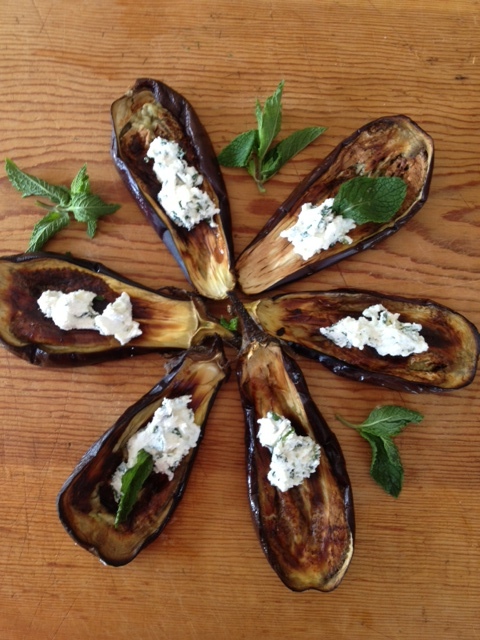 basil, eggplant, mint, olive oil, ricotta, roasted vegatables, snacks. I had this simple and easy treat in southern Italy. It is a refreshing summer item that can be eaten before dinner or for a quick afternoon snack. –And not only that, its made with only few ingredients! 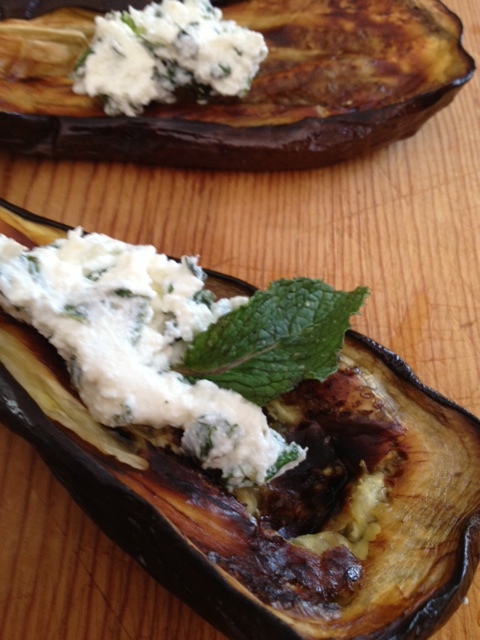 The richness of the roasted eggplant is nicely off-set by the mint flavored ricotta. This is also great with a drizzle of olive oil. Three small eggplants halved and lightly coated with olive oil, place them on a sheet pan and roast at 400 until brown and toasty. Cool down to room temp. Chopped a small bunch of fresh mint and mix with 2 cups ricotta. 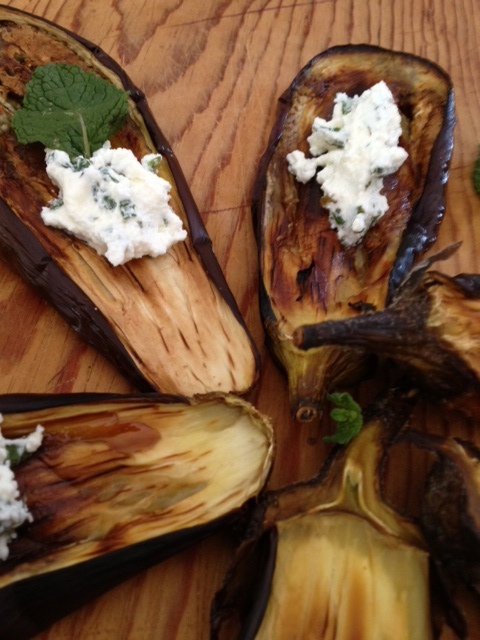 Place small dollops of the mint ricotta on each eggplant half & drizzle with olive oil. 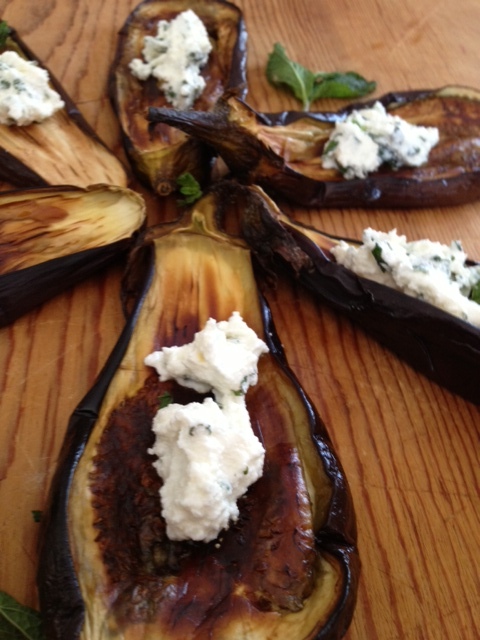 The way to eat this is to scrap the eggplant out of it skin along with the ricotta. Discard the skin.